The Psychological Elements of Bullying - Jakub Tencl, Ph.D.
Let's dig a little bit deeper into this topic, how this is influential for an individual. Let's go back to the moment when the individual is bullied. The question is what motivates somebody to bully. The cause is a circumstance at a moment when everything begins. There is an opinion that this is a law of nature whereby the stronger takes over the weaker. Firstly, what leads the ‘stronger’ individual to think that he is the stronger? And the second question is how does it happen that an individual chooses someone? Where does this intention come from? Perhaps we should understand that our actions are always determined by our beliefs. It means a lot, for instance, that we are not influenced by the outer world if we don't let ourselves be. In other words, we are creating the way we perceive the world. If that is true, why does an individual believe that the choice he will make is correct? This depends on age. Nevertheless, let's focus on early childhood where the core belief system is built. At an early age, our judgments are limited in a certain sense, a belief is usually associated with previous experiences. As young children, we take direct experience from parents. Let's assume first that one of the parents has a strong nature. A child will take as an assumption that interaction with the outer world must be the same way. But it would be a general element perhaps functioning in every interaction and that is not possible to apply when mostly only one individual is chosen within the group. However, this is a manifestation of the model of cause and effect. Here’s another perspective: somebody who thinks that he is ‘strong’ thinks this way about himself, yet the reality is different. Interesting here is that there is a difference between how the individual perceives himself, how another individual perceives him, and what this looks like within a group. And this is not the same, though some elements are taken as the conscious or unconscious understanding that there are similarities between members of the group. What looks as expected also has a different perspective that extends understanding. We are creators of our perception which is channeled by our beliefs, which means that this can be changed. Strong individuality needs to convince others about its strength, but this does not mean that such individuality is strong. Usually, the strongest individuals do not need to show their strength. Now we have the motivation, one of the parents who appears 'strong' instills knowledge of interpersonal skills. A child wants to find out whether his new skill is usable. Then it becomes a core belief if we look at the life-developmental stage at which the child is. Children then learn that every group has stronger and weaker units. Occurring 'adjustments' within the group require coping strategies of each unit in order to create an option of consistency. Choosing a victim does not mean that such child is the weakest within the group, because this depends on coping strategies within the group, in other words, understanding of the group dynamics. Lack of coping strategies within the group can be due to momentary overload and that is usually because of persistent anxiety causing hypersuggestibility at the same time. Naturally, we have the ability to cope with ongoing elements within happenings, but we do not always have enough capacity to do that. This state is the opportunity to rediscover our abilities to adjust to outer happenings. Assuming that the cause is a state of anxiety, long lasting 'accumulated' state can dramatically change the sensitivity and preferences of the subconscious. 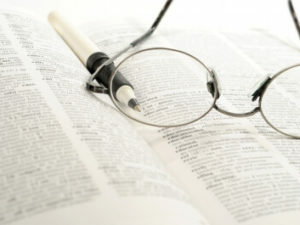 For instance the threshold of sensitivity to pain or the subconscious tendency of separation and desire for acceptance. 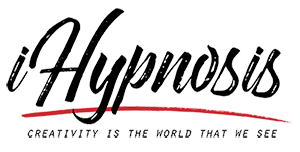 A state of hypnosis can generally help to deal with anxiety, and also find a more beneficial way to perceive 'consistency' of the group.